Bone broth has been a thing for ages. It’s been used in cuisines around the globe, but the main reason for that is its taste. People simply love it! Another reason why bone broth is a popular dish in all parts of the world is that it’s pretty easy to make. Traditionally, in order to prepare it, all you needed was to cook some bones (beef, chicken, etc.) together with some veggies for several hours. Today, it’s even easier to make it. 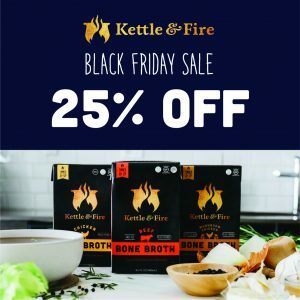 If you’re time-poor, just buy instant bone broth, from the hugely popular Kettle and Fire brand website. Still not convinced that bone broth should become an item on your everyday menu? If so, we have to tell you another thing – bone broth is super-healthy! Actually, the list of claimed health benefits of bone broth is so long that we could write an entire book about it. That’s why we’re now gonna focus on those that you can notice real quickly. So, let’s start! If you have a runny nose, a bowl of bone broth can help you deal with it. And your best choice in this case is chicken broth. Warm noodle soup spiced with pepper is guaranteed to help with cleaning the nasal congestion. The reason is not just that it’s warm and spicy; it’s also because chicken bones contain certain substances that have anti-inflammatory properties. Your belly hurts? A bowl of warm soup can cure an upset stomach. And if you’re having struggles with constipation, then our advice is to go with a bowl of a savory beef bone broth, which is bound to solve this problem for you. After a tough physical activity or after spending hours on sun without drinking any water, your body might get dehydrated. And this doesn’t just mean that it lacks water. It also means that your body has lost a lot of electrolytes through sweating. And knowing that electrolytes are essential for proper functioning of your brain and heart, you need to get them back in your system ASAP. The bad news is that plain water does not have electrolytes. At least, not enough of them. But, there is some good news. Bone broth comes with a lot of them! So, if you want to hydrate yourself and get your share of electrolytes, all you got to do is eat a bowl of soup. The best thing is that you can make it in a matter of minutes if you use instant bone broth. The thing about bone broth is that it can make you feel full. But, it’s caloric value is pretty low. In fact, a bowl of chicken bone broth contains only 30-40 calories. And that’s the same as eating only three or four M&Ms. So, if you’re on a diet and you’re finding it hard to adjust to a new regimen, use bone broth to curb down your hunger. Want to get rid of all the toxins from your system? Bone broth can help you with that. Apart from being rich in electrolytes, which you may lose if you undergo an extreme detox plan, bone broth is also rich in all sorts of vitamins and minerals. It also contains a fair share of amino-acids, which will protect your muscles. These five benefits are those you’ll be able to see for yourself after only a few days of using bone both in your diet. But, its long-term benefits are even better. Bone broth is full of collagen that protects your bones, joints, and even your skin. It’s also rich in immune-boosting nutrients, while some scientists claim that it even has certain antioxidants that can kill cancer cells. 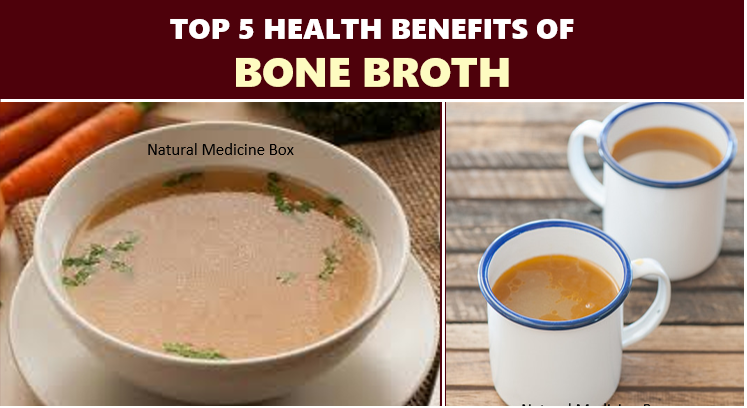 And considering that bone broth does not do you any harm, why not give it a try? Order it now!